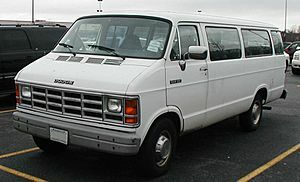 The Dodge B-Series were a series of passenger or cargo vans which began around 1971 and ended in 2003. These vans were full sized. They had the names of Sportsman for the passenger van. The cargo vans were named Dodge Tradesman. 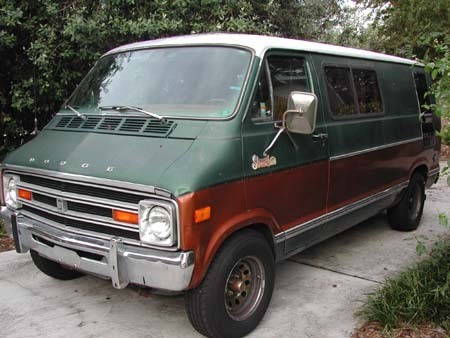 This was before 1979, beginning in which year these vehicles were renamed Dodge Ram. The vehicles were marketed under Dodge. 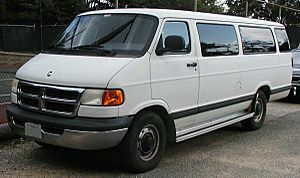 The B-Series vans were discontinued around 2003 and replaced with Dodge Sprinter. 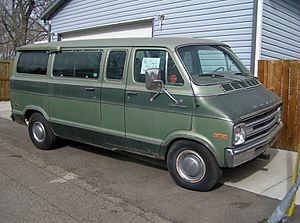 Dodge Ram Van Facts for Kids. Kiddle Encyclopedia.